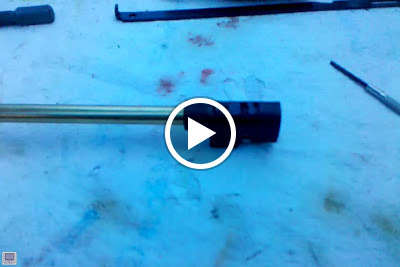 This video shows the WE M14 GBB hop up assembly and how to take it apart. There is literally one tiny silver screw that needs to be removed, which I did prior to filming this, and then you just gently pry the two halves of the chamber apart to get to the bucking. Just watch the video. For more on the WE M14 GBB hop-up and the gun in its entirety, keep watching this here Pyramyd Airsoft Blog. In an effort to make your life easier, as if today's society hasn't done enough already, you have the option to subscribe to this wonderful little Airsoft blog using your favorite RSS feeder so that you can get almost instant updates when I add new content without having to sit there on my homepage and continuously hitting the refresh button over and over, in the vague hopes that I will have added something new at that time. If you haven't seen the big ol' button at the top right of the page that says, "SUBSCRIBE," then you have some situational awareness issues that need to get sorted out. Have your primary care physician refer you to a specialist.